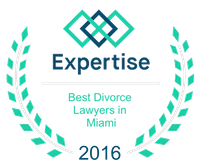 There are numerous financial issues that couples have to worry about while going through a divorce. While the division of the assets and the focus on child custody are understandable, people should ensure that they don't overlook the tax issues of a divorce. These can be complicated issues that often surprise people in their first year after a divorce, particularly if they have to pay more in taxes than in years past. Understanding and planning for changes in their tax situation after a divorce can prevent surprises and reduce the financial stress a person faces after the proceedings have finished. Many couples receive sizable tax deductions while married which can significantly reduce the amount of money that they owe at the end of the year. Once the divorce is finalized, these deductions will disappear and each individual could wind up paying more in taxes than they were in the past. In order to plan for this, couples going through a divorce should speak to a professional about what their taxes will look like. This will make it easier to budget and prevent any tax penalties that could result from a failure to pay taxes on time. If one of the individuals involved in the divorce receives alimony from the other partner, they should remember that alimony must be claimed as income and is taxable. On the other side, the person sending alimony payments is eligible to claim these payments as a tax deduction, reducing their gross taxable income. Both parties must chart alimony payments properly because errors in calculating gross taxable income could only lead to more unpleasant situations and discussions with the IRS. Parents often wonder about claiming children as dependents on their tax returns once the divorce is finalized. While this can be a challenge, any parent listed as the primary caregiver is eligible to claim that child as a dependent and enjoy the tax benefits that follow. Parents can also discuss who claims the child as a dependent between themselves and the court may be able to order that the non-custodial parents receive the benefits of claiming the child as a dependent also. It is important for parents with questions about this issue to discuss this process with a qualified professional to learn more. This will prevent confusion when tax season rolls around.